Since armed conflict erupted in South Sudan in December, at least 58 people have been killed on hospital grounds, and hospitals were ransacked or burnt on at least six occasions, MSF said. These figures are not comprehensive, only representing the best of MSF’s knowledge about incidents in areas where MSF has activities or conducted medical assessments. "The conflict has at times seen horrific levels of violence, including against healthcare facilities," said Raphael Gorgeu, MSF head of mission. “Patients have been shot in their beds, and lifesaving medical facilities have been burned and effectively destroyed. These attacks have far-reaching consequences for hundreds of thousands of people who are cut off from medical services." The aim of the report is to encourage dialogue and raise awareness about the impact of the crisis on the provision of medical care, and encourage positive change towards ensuring safe access to healthcare for the people of South Sudan. Hospitals have been ransacked in the towns of Bor, Malakal, Bentiu, Nasir and Leer, often during periods of heavy fighting. The damage goes far beyond the acts of violence themselves as vulnerable people are cut off from healthcare when they desperately need it. For example, MSF's hospital in Leer, southern Unity state, was destroyed along with most of town in late January and early February. It was the only facility providing secondary healthcare, including surgery and treatment for HIV and tuberculosis, in an area with approximately 270,000 people. Entire buildings were reduced to ash, and equipment needed for surgery, the storage of vaccines, blood transfusions and laboratory work were destroyed. In May, MSF resumed some activities as people started to return to Leer. Staff members treated more than 1,600 children for malnutrition in the first three weeks alone. However, the organisation is unable to offer anything like the services it used to, such as routine vaccinations and emergency surgeries. "Unfortunately, because of this crisis we lost track of many of our patients, some of whom may have died if they could not access ongoing treatment," said Dr. Muhammed Shoaib, MSF medical coordinator. "Now, we are back and treating some patients, but can only offer a fraction of our previous services. There are no options at all for surgery in the whole of southern Unity state, for example." South Sudan State hospitals have been the sites of some of the worst violence. At Bor State Hospital, 14 patients and one Ministry of Health staff member were shot dead during violence in December. Fourteen people, including eleven patients shot in their beds, were killed at Malakal Teaching Hospital in February. At Bentiu State Hospital, at least 28 people were killed in April, including at least one Ministry of Health staff member. MSF has repeatedly condemned such incidents, which have greatly affected its ability to deliver humanitarian assistance at the time when people need it most. MSF calls on all parties to the conflict to ensure that all people in South Sudan can seek medical care without fear of violence. 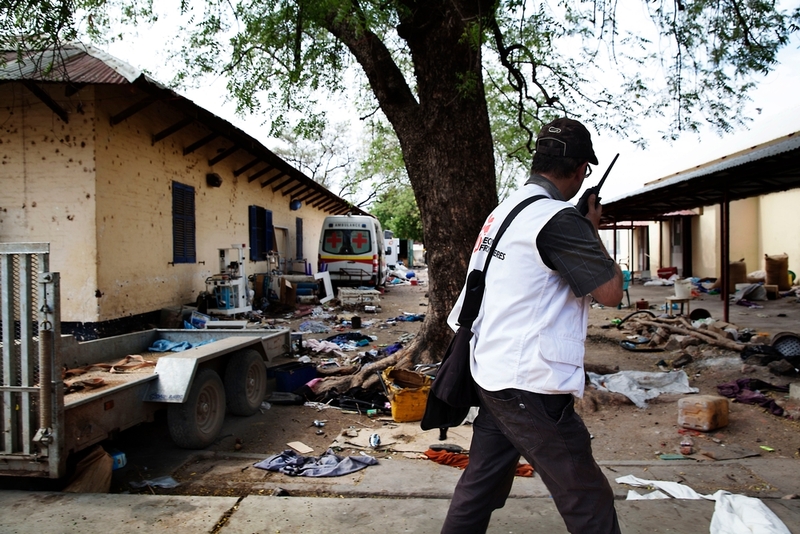 The report is part of MSF’s Medical Care Under Fire project which was launched in South Sudan in November 2013. The initiative is part of a global project which seeks to better understand the nature of violence that healthcare providers face in conflict zones, to improve the security of patients, staff and healthcare facilities. In South Sudan, MSF works with communities, medical and humanitarian actors and authorities at local, national and international levels to create a safer environment for the provision of medical care.